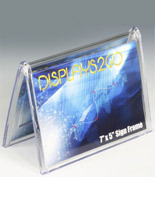 This acrylic table tent is a versatile frame that is used in several different establishments. Restaurants, hotels and business offices are just a few examples of the industries that purchase this sign frame. 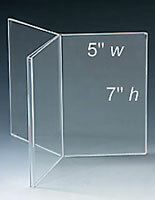 Each acrylic table tent, clear menu holder, is made with high quality materials. 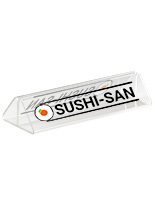 The fold-over design is carefully crafted from one solid piece of acrylic. This acrylic table tent allows for quick and easy signage changes. Slide an old print out through one end and insert a replacement through the opposite side. 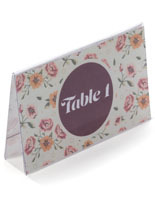 Use this acrylic table tent as a double-sided tabletop advertising frame. 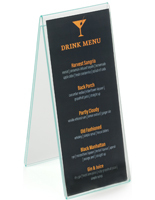 Casual dining establishments typically use this sign frame to promote new menu items or seasonal drink specials. 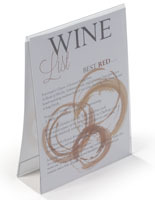 This acrylic table tent, clear restaurant tabletop sign holder, consists of two folded panels for graphic/menu inserts. Each panel holds a 6" wide x 4" high card for viewing from both sides. 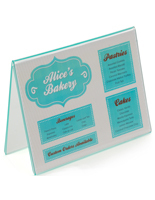 This acrylic table tent is great for displaying daily specials, appetizers, desserts, or a drink list. 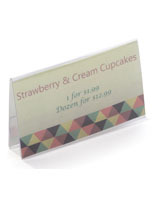 Get your menu noticed with this affordable sign display. 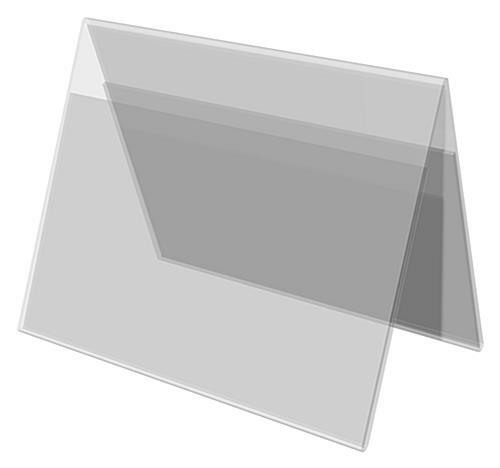 This acrylic table tent is an effective and easy to use frame for non-restaurant uses. Place this double-sided sign frame in a hotel lobby to announce check-out time. 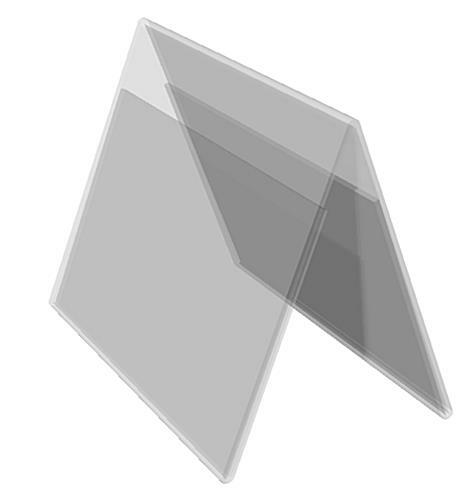 Be sure to order this acrylic table tent in bulk quantities to receive the lowest pricing. Great product, sturdy quality! This is the second order of ones we have bought. Thanks for the great review, Devon!